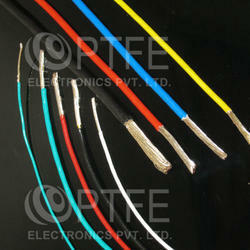 We are a leading Manufacturer of ptfe insulated hookup wire and ptfe insulated copper wire from Ghaziabad, India. 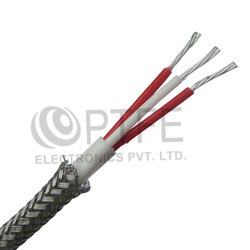 We manufacture the variety of PTFE Insulated Hookup Wires in small-to-large gauge, solid as well as stranded, prominently used for making internal connections inside electrical or electronic devices. Our Standard wires satisfy the international standard MIL-W-16878 & BS3G210 and Indian Standard JSS 51034. Please refer the product catalog for color codes and other technical details. We are offering PTFE Insulated Copper Wire to our client.